NOW OPEN AND ACCEPTING NEW PATIENTS! Welcome to our practice! 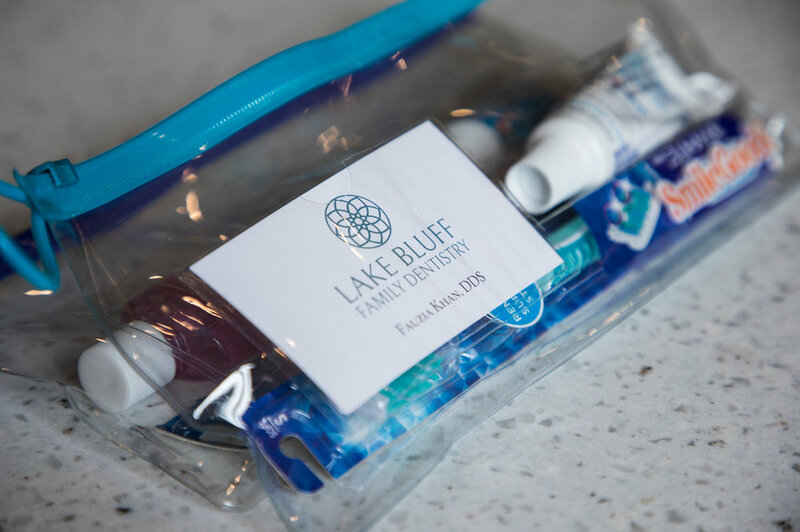 At Lake Bluff Family Dentistry we provide excellent dental care for the entire family in a relaxed office atmosphere. Dr. Fauzia Khan enjoys building relationships with each patient and promoting an understanding of your overall dental health. Whether it’s whitening your teeth, concerns about a chipped tooth, or even your child’s first dental visit, Dr. Khan takes the time to sit down, listen and offer options on how to bring you the smile you desire. We strive to provide a personable and enjoyable dental experience at each visit. Habits and nutritional decisions effect your dental health and we believe that in treating the entire family, families are stronger. Dr. Khan is a mother and a dentist with many years of pediatric dental experience. She utilizes patience and understanding to work with the youngest of children and adults of all ages. That’s why we have chosen to use family in the name of our practice. This is because family is of great importance not only in your personal life, but also in your dental health. We invite you to stop by or call to make an appointment. Our team is looking forward to meeting you! Lake Bluff Family Dentistry is excited to be in the neighborhood! We look forward to meeting you soon!